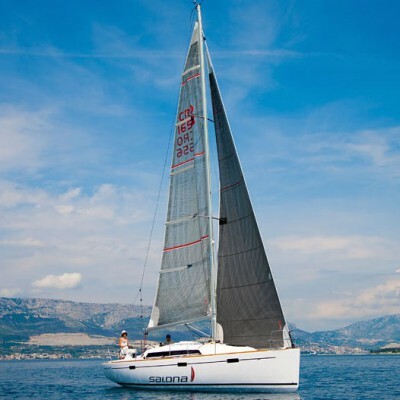 With this baby, you can either win the race or enjoy a perfect sailing trip. Salona 35 follows the trend of small sailing boats which combine exceptional sailing performances, comfort and high level of safety. This model had been recognized by private owners which enjoy weekend fun sailing as well as less demanding week cruising. On the other hand, Salona 35 proved the reputation of the considerable competitor on the race course, so weekend sailors should not hesitate when invited to any kind of coastal regatta. 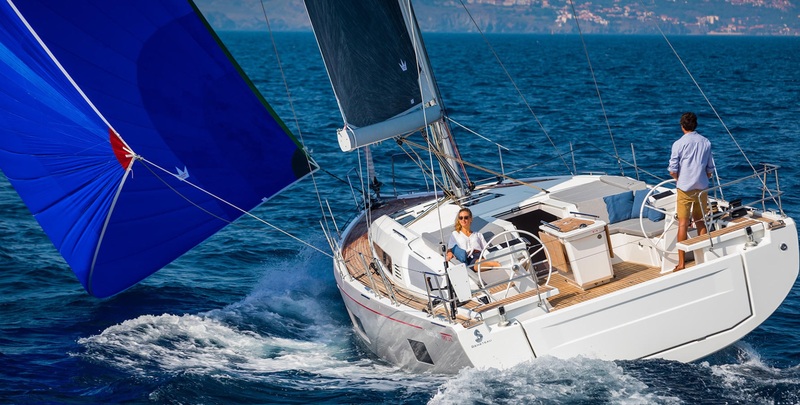 Favorable price, the simplicity of maneuvering and folding saloon beds made this sailing yacht interesting for charter companies as well: click here to charter your Salona 35. The shape of Salona 35, launched at the beginning of 2012, comes as the result of cooperation between J&J Design studio and Jason Ker, responsible for keel optimization. The deck is shaped with modern and elegant lines, so recognizable for Salona boats, while surfaces seem denuded in favor of functionality. The cockpit is designed in a manner to provide as much space as possible, without unnecessary obstacles making maneuvers simple and fluent.The open aft is determined with simple transom which could be easily removed when racing. The standard interior option includes two cabins and a spacious saloon, functional galley and folding beds in the saloon. Robust stainless steel frame has the purpose to disburden the keel, as well as on all other Salona boats, so the tension is transferred from the keel to wide surfaces of the hull. Mainsail surface measures as much as 32m2 ensuring supreme sailing performances in combination with 37.5m2 big roll genoa. Deck equipment and sheets arrangement provide simple and easy maneuvering during the races as well as while sailing single- or short– handed. Furthermore, Salona 35 is equipped with the 21 HP engine in standard option while fresh water and fuel tanks capacities are 200 l and 90 l – quite enough for relaxed sailing trips. 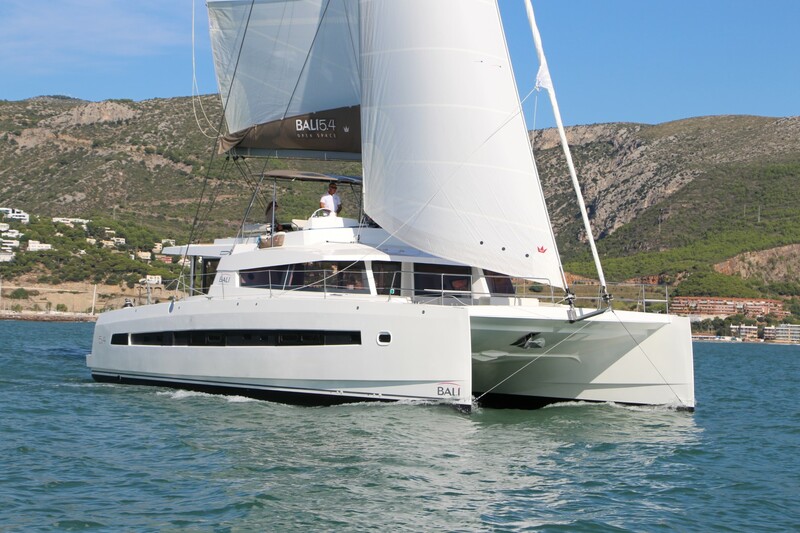 At the end of the day, one could conclude that Salona 35 found her place on sail boat market for a reason.